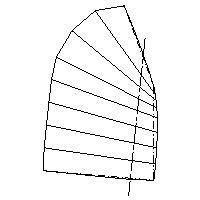 Designed by Alan Boswell to Sunbird Marine specifications. A mixture of the Reddish and Fenix rigs for inshore and offshore yachts. 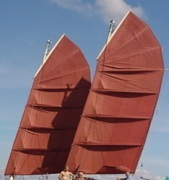 It is varied in detail to suit all boat sizes from 9' inflatables to 70' three-masted schooners. Built with transitional panel and cambered panels. 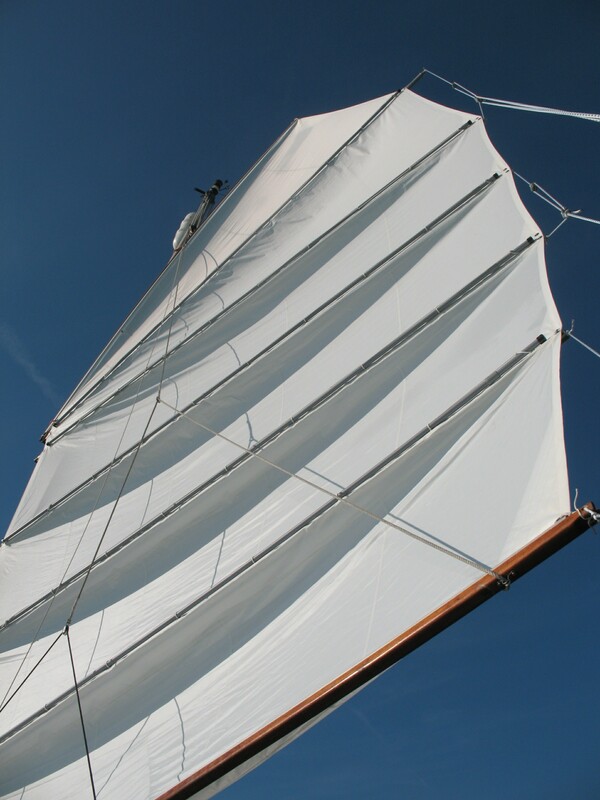 The sail shown uses the barrel-shaped panel method, developed by Arne Kverneland, to create camber. 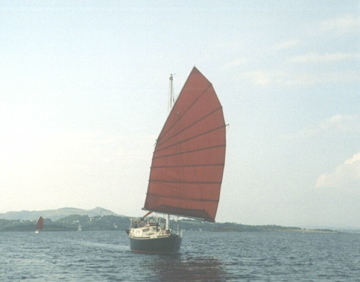 Designed by Slieve McGalliard for his boat Poppy. Designed by David Tyler for Annie Hill's Fantail. Not as pronounced a fan as Tystie's (above right). This rig represents the ultimate development by the Hasler Mcleod partnership. 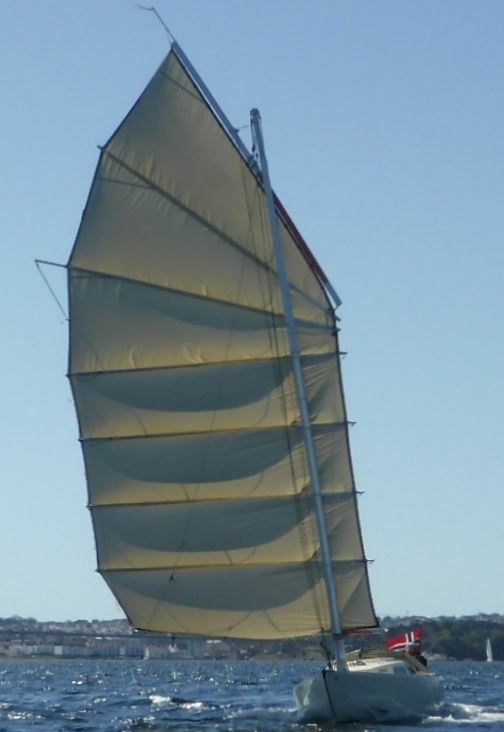 Later developments have resulted in rigs that have much improved windward efficiency, but some cruising sailors still prefer this rig, valuing simplicity and low cost over ultimate windward performance. 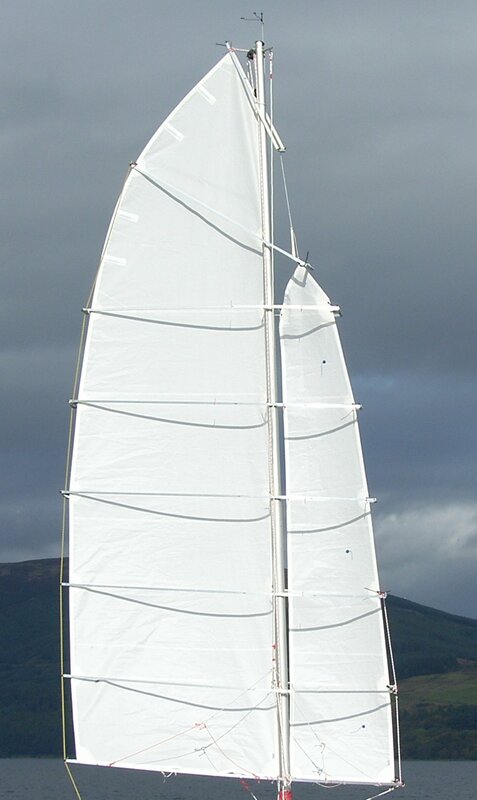 Designed, built and developed by Vincent Reddish, a JRA member, and successfully used for long-distance cruising on his Vertue 26. Described in JRA publications. 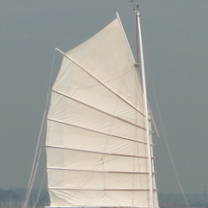 A modern schooner rig, with 3 cambered panels and a transitional panel in each sail, giving an extra batten in the heads of the sails to better support them in heavy weather. 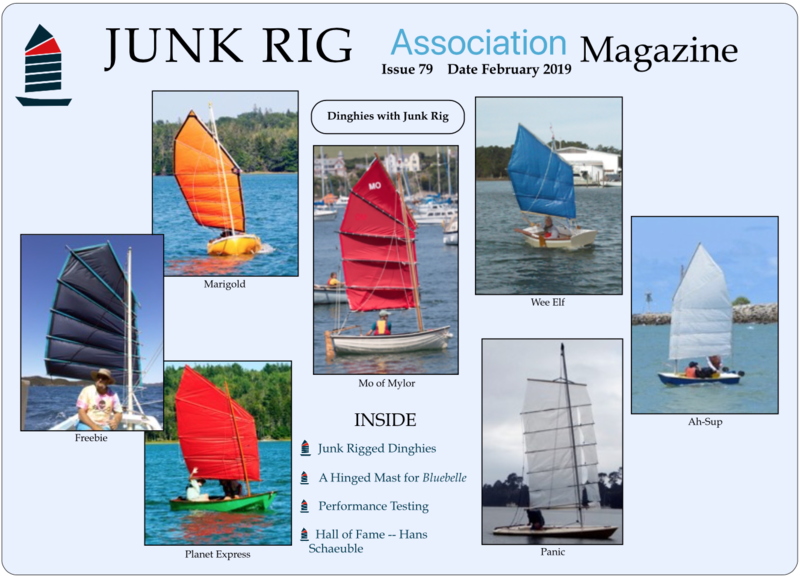 AeroJunk Rig Designed by Paul McKay for his boat Miranda. Derek Van Loan's planform, still finding favour with some builders, who perceive aerodynamic benefits in its low yard angle and the ease of cambering all the panels except the top panel.